Wake up to Spring with Blackberries - Butterball® Farms, Inc.
Spring, Summer, Fall and Winter all offer their own unique fruits and vegetables for seasonal flavour, and this month it is time for the blackberry to shine! Fresh blackberries offer an amazing mix of both sweet and sour, but when they’re baked, the sourness is mellowed and you’re left with a perfect pop of sweetness. You can also throw in a touch of lemon for an additional pop of colour and freshness! 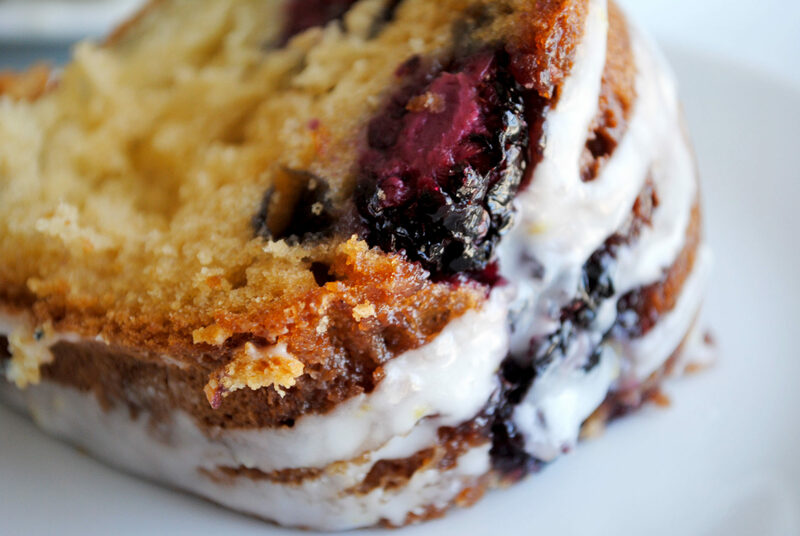 Standard coffee cakes, while rich and satisfying during Fall and Winter, can tend to be on the dull side at this time of year, but berries and lemon lift it to a refreshing, seasonal indulgence. The recipe, developed by TheLastCourse, also uses vanilla bean paste rather than extract to elevate these flavours, and add cute little black specs throughout the cake. We love these fun little touches! How do you like your Coffee Cake? Try this one out, and let us know what you think by sharing your stories and photos using #BetterButter on Facebook, Instagram, Twitter and Pinterest. Previous post: Celebrate Earth Day with Butterball Farms!